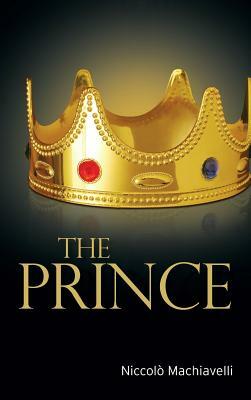 Niccol Machiavelli Machiavelli has created a ruthless guide on how to rule the country in his volume "The Prince." The book is dedicated to Lorenzo De Medici, the ruler of Florence. The author explains in simple language about the nature of great men and the characters of the government. The first chapter gives an outline of the book discussing various styles of ruling as a prince, character traits that a ruler should have and the political situation of Italy in the 16th century. The book is composed of 26 chapters which fall into four major sections. In part one Machiavelli discusses the four types of principalities. The first type is hereditary princedoms meaning they are inherited by the ruler. There are also mixed principalities which are seized by force, civic principalities which are acquired by various criminal methods and finally ecclesiastical principalities influenced by the church. Machiavelli outlines how to maintain a newly acquired territory as these various types of principalities. We are delighted to publish this classic book as part of our extensive Classic Library collection. Many of the books in our collection have been out of print for decades, and therefore have not been accessible to the general public. The aim of our publishing program is to facilitate rapid access to this vast reservoir of literature, and our view is that this is a significant literary work, which deserves to be brought back into print after many decades. The contents of the vast majority of titles in the Classic Library have been scanned from the original works. To ensure a high quality product, each title has been meticulously hand curated by our staff. Our philosophy has been guided by a desire to provide the reader with a book that is as close as possible to ownership of the original work. We hope that you will enjoy this wonderful classic work, and that for you it becomes an enriching experience.